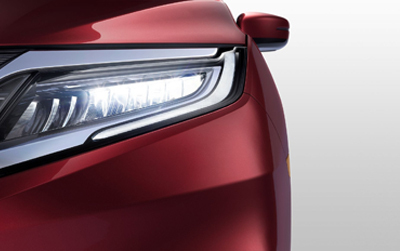 A dynamic, streamlined front end features LED Headlights with Auto-On/Off and LED Fog Lights. LED Headlights with Auto-On/Off and LED Fog Lights standard on Touring and Elite. 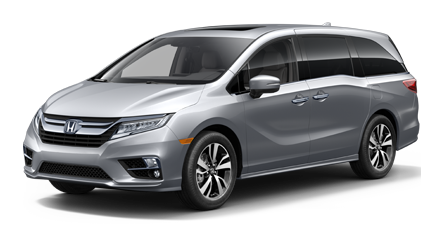 Ultra-modern styling and easy-access features like Power Sliding Doors make the Odyssey a delight to look at or to load up. Power Sliding Doors standard on EX, EX-L, Touring and Elite. LED Headlights with Auto-On/Off help you see more while using less energy, plus there’s no fear of accidentally leaving them on. LED Headlights with Auto-On/Off standard on Touring and Elite. The design of the exterior includes darkened rear windows that wrap around to the back while neatly hiding the track for the sliding doors. The contemporary design of the LED Taillights is both striking and stylishly simple. Large 19-inch Alloy Wheels pick up cues from the body design, making for one road-ready package. 19-inch Alloy Wheels standard on Elite. The Power Tailgate's Height-Adjustable feature makes it quick and easy to customize for drivers of all sizes. Height-Adjustable Power Tailgate standard on EX-L, Touring and Elite. The Power Sliding Doors open wide for easy cargo loading and passenger entry, and can be opened or closed from up to 50 feet away with your key fob. Leave the key fob in your pocket. Lock or unlock the doors with a touch of the door handle, and they’ll automatically lock when you move 8 feet away. Smart Entry with Walk Away Auto Lock® standard on EX, EX-L, Touring and Elite. With a host of Honda Genuine Accessories like fog lights and roof rails, customization possibilities are nearly endless. Roof Rails and Crossbars work with your choice of roof attachments to help you securely haul items, from a bike to skis or a roof box. The contours of the streamlined Body Side Molding look stylish while also helping to protect from door dings. Splash Guards are a nice finishing touch and help protect your paint from chips and stains. Add extra wow factor with these 19-inch Alloy Wheels. They look amazing and will help set you apart from the crowd. The Chrome Bumper Protector enhances your exterior, while helping prevent scratches when loading and unloading. The instrument panel is ergonomically designed to house a full color 7-inch Digital Driver Information Interface and 8-inch Display Audio Touch-Screen. Digital Driver Information Interface and Display Audio Touch-Screen standard on EX, EX-L, Touring and Elite. Leave the key fob in your pocket. All the power to start your engine is at your fingertips with Push Button Start. Push Button Start standard on EX, EX-L, Touring and Elite. Go from Park to Drive with a touch of the electronic gear selector, then enjoy a 10-speed automatic transmission and Idle Stop technology. 10-speed automatic transmission and Idle Stop standard on Touring and Elite. 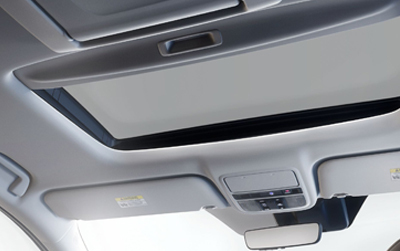 Whether you’re off to the beach or exploring the city, get a better view and some fresh air with the One-Touch Power Moonroof. 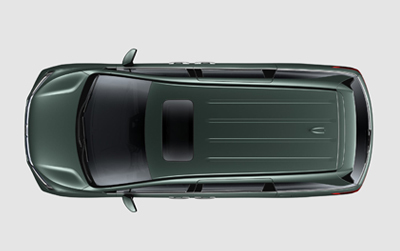 One-Touch Power Moonroof standard on EX-L, Touring and Elite. The versatile Odyssey family minivan is equally at home at the beach, the baseball field or a trendy downtown restaurant. The innovative Magic Slide 2nd-Row Seats™ allow for convenient access to the 3rd row while also making it easier to move the seat within reach of the front row. Magic Slide 2nd-Row Seats™ standard on EX, EX-L, Touring and Elite. With the Magic Slide 2nd-Row Seats™, there’s plenty of room to get into the third row while still allowing seating for up to seven passengers. 7-Passenger Seating and Magic Slide 2nd-Row Seats™ standard on EX, EX-L, Touring and Elite. The Odyssey has enough floor space to lay a stack of 4 ft. by 8 ft. plywood sheets, so you can tackle even the biggest weekend project. Get a little extra help in icy, snowy conditions with Snow Mode, which recalibrates the traction control system to give you more confidence. Don’t worry about crackers in the seats or dirt in the floor mats. With a long reach and a removable waste bin, this built-in vacuum makes it easy to clean up little messes. HondaVAC® standard on Touring and Elite. With a Leather-Trimmed Interior and soft-touch premium materials throughout the cabin, you can ride in style and treat your passengers to the same comfortable experience. Leather-Trimmed Interior standard on EX-L, Touring and Elite. Heated, Leather-Wrapped Steering Wheel standard on Elite. Heated and ventilated seats keep you and your front passenger comfortable in any weather. Heated Front Seats standard on EX, EX-L, Touring and Elite. Ventilated Front Seats standard on Elite. An available Tri-Zone Automatic Climate Control System makes it easy to keep everyone comfortable. Tri-Zone Automatic Climate Control standard on EX, EX-L, Touring and Elite. Provide quick relief from the glaring sun with integrated Sunshades for 2nd- and 3rd-row passengers. 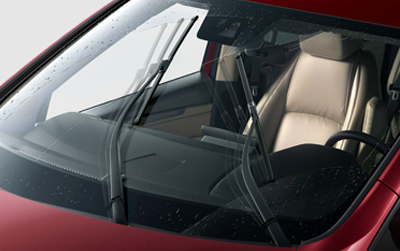 2nd-Row integrated Sunshades standard on EX, EX-L, Touring and Elite. 3rd-Row integrated Sunshades standard on Touring and Elite. Auto Up/Down Rear Windows standard on EX, EX-L, Touring and Elite. The Cargo Bins are designed to be inserted into the wheel well behind the rear seats. 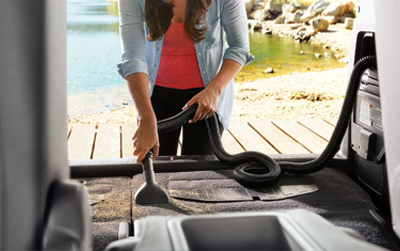 The molded vinyl trifold Cargo Mat helps protect the cargo area from everyday wear and tear. A finishing touch that is subtle, tasteful and definitely upscale, the Illuminated Door Sill Trim dresses up the interior while helping protect the lower door sill from scuff marks. The daily wear and tear on your back seats can be brutal. The 2nd-Row Seat Covers offer stylish protection that will help keep your original seats in excellent condition. Choose from three different angles — normal, top-down and wide — for a better view of what’s behind you whenever you shift into Reverse. You’ll have extra help determining if it’s okay to change lanes with sensors in the rear bumper to alert you when vehicles are detected. Blind Spot Information System standard on EX, EX-L, Touring and Elite. The Honda Satellite-Linked Navigation System™ features maps with 3D renderings of terrain, buildings and road signs, and provides lane guidance and live search function. Honda Satellite-Linked Navigation System™ standard on EX-L w/Navigation and Rear Entertainment System, Touring and Elite. The Honda Odyssey is a family vehicle packed with more features and creature comforts than ever before. CabinWatch™ standard on Touring and Elite. The 10.2-inch display makes viewing easy for 2nd- and 3rd-row passengers, and offers music and video streaming, plus the fun How Much Farther?™ app. Advanced Rear Entertainment System standard on EX-L w/Navigation and Rear Entertainment System, Touring and Elite. CabinTalk allows you to talk directly to passengers in the back. You can override RES connected headphones and on Elite models, you can also be heard through the rear speakers. CabinTalk™ standard on EX-L w/Navigation and Rear Entertainment System, Touring and Elite. Stay well-connected at all times with Multi-Zone Audio, Bluetooth® Streaming Audio multiple USB ports and an 8-inch Display Audio Touch-Screen. 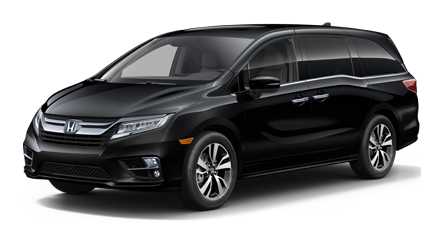 Honda Satellite-Linked Navigation System™ standard on EX-L w/Navigation and Rear Entertainment System, Touring and Elite. Multi-Zone Audio standard on Elite. Touch, pinch and swipe your way through music, podcasts and navigation with the stunning 8-inch Display Audio Touch-Screen. Display Audio Touch-Screen standard on EX, EX-L, Touring and Elite. Tap into your iPhone® and get directions, send or receive messages and access your music library, all through the Display Audio Touch-Screen. Apple CarPlay™ standard on EX, EX-L, Touring and Elite. Android Auto™ standard on EX, EX-L, Touring and Elite. No more need for adapters and cords. The Wireless Phone Charger provides a hassle-free charging zone that’s easy to access and use. Wireless Phone Charger standard on Elite. Compatible device required. Plug in, control and charge your compatible digital devices with front USB connectivity, and let your passengers charge theirs with rear USB charging ports. 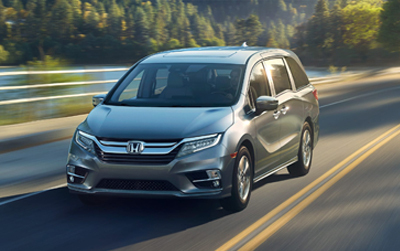 Give your passengers more control, create your own mobile hotspot, access the Odyssey from your phone–this minivan is well-connected. With CabinControl™ Social Playlist feature, everyone can have a say in the music played by simply adding a song to a playlist through the CabinControl™ app. CabinControl™ standard on EX, EX-L, Touring and Elite. HondaLink® makes it easy to access fuel/range status, operate the remote engine start, lock or unlock your doors and more–all from your smartphone. For more info visit HondaLink.Honda.com. HondaLink® Subscription Services is standard on Touring and Elite. HondaLink® Assist is available on EX and above trims. Screen shown may not be latest version. Enjoy wireless streaming capabilities, including audio and entertainment system updates by turning your Odyssey into a mobile hotspot with a data plan from AT&T. Mobile Hotspot Capability standard on Touring and Elite. Use the HondaLink® app to remotely start the engine and preheat or precool the interior so the temperature is perfect before you even open the door. 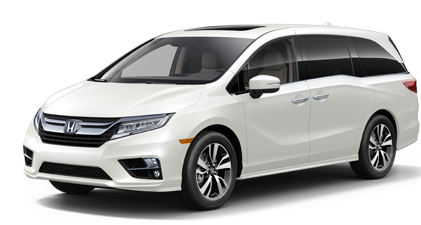 HondaLink® standard on Touring and Elite. A small camera sees road markers, alerts you if you’re about to leave the road, and can take action help keep you from doing so. Adaptive Cruise Control (ACC) helps you maintain a set following interval on the highway, so you don't have to manually change your speed. 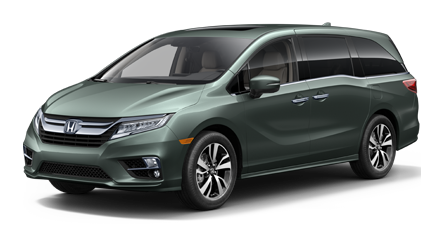 The 2019 Honda Odyssey is equipped for journeys both big and small. It turns every family trip into a joyride. 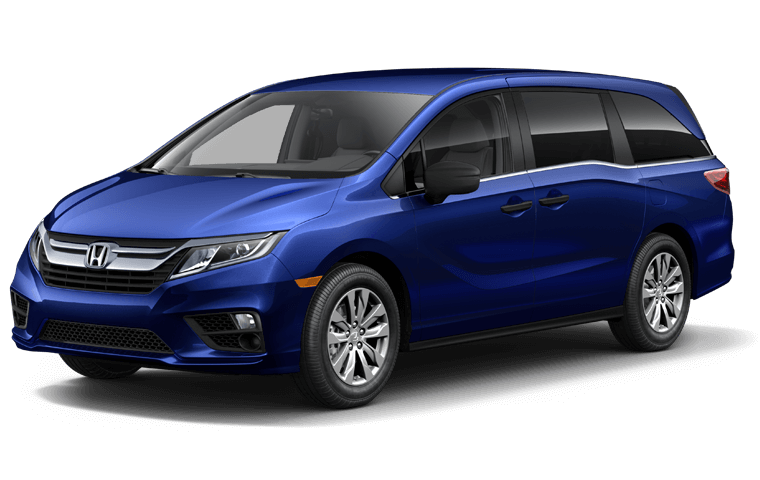 Whether you’re driving crosstown or cross country, enjoy the exceptional fuel efficiency, power, and versatility offered by this modern take on the minivan. 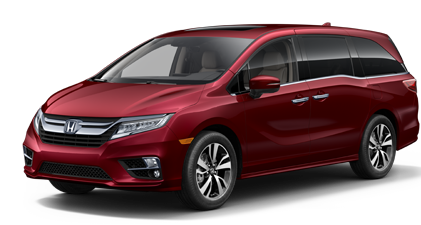 Odyssey combines a roomy cabin that seats up to eight with fun, flexible features designed to help you feel at home wherever you are. 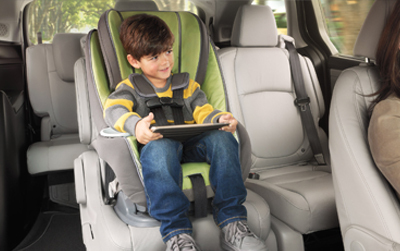 Versatile seating configurations keep your little ones within reach while highly adjustable driver's seat settings make for a delightfully comfortable ride. The comprehensive instrument panel puts plenty of intuitive interfaces and features at your fingertips with something advanced for everyone. Available wireless streaming capability and the unique CabinControl™ app—which lets passengers select songs for the ride—are just two of the outstanding options you’ll find in this vehicle. 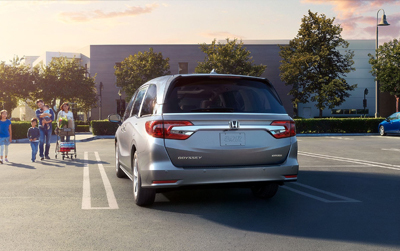 The 2019 Odyssey was clearly designed for convenience, with you and your family in mind. 19 city/28 highway/22 combined MPG rating for LX, EX, and EX-L models with 9-speed automatic transmission. 19 city/28 highway/22 combined MPG rating for Touring and Elite models with 10-speed automatic transmission. Based on 2019 EPA mileage ratings. Use for comparison purposes only. Your mileage will vary depending on how you drive and maintain your vehicle, driving conditions and other factors. MSRP excluding tax, license, registration, $1,045.00 destination charge and options. Dealers set own prices. 280 hp @ 6000 rpm, 262 lb-ft @ 4700 rpm (SAE net). Blu-ray is a trademark of the Blu-ray Disc Association. Apple CarPlay is a trademark of Apple Inc.  Android and Android Auto are trademarks of Google Inc.  SiriusXM services require a subscription after any trial period. If you decide to continue your SiriusXM service at the end of your trial subscription, the plan you choose will automatically renew and bill at then-current rates until you call SiriusXM at 1-866-635-2349 to cancel. See our Customer Agreement for complete terms at www.siriusxm.com. Fees and programming subject to change. XM satellite service is available only to those at least 18 years and older in the 48 contiguous United States and D.C. ©2018 SiriusXM Radio Inc. Sirius, XM and all related marks and logos are trademarks of SiriusXM Radio Inc.  Honda wireless phone charger is compatible with both Qi and Powermat wireless charging standards. Check with your device’s manufacturer for wireless capability. Always visually confirm that it is safe to drive before backing up; the rearview camera display does not provide complete information about all conditions and objects at the rear of your vehicle. For optimal tire wear and performance, tire pressure should be checked regularly with a gauge. Do not rely solely on the monitor system. Please see your Honda dealer for details. CMBS cannot detect all objects ahead and may not detect a given object; accuracy will vary based on weather, speed and other factors. System operation affected by extreme interior heat. System designed to mitigate crash forces. Driver remains responsible for safely operating vehicle and avoiding collisions. LKAS only assists driver in maintaining proper lane position when lane markings are identified without a turn signal in use and can only apply mild steering torque to assist. LKAS may not detect all lane markings; accuracy will vary based on weather, speed and road condition. System operation affected by extreme interior heat. Driver remains responsible for safely operating vehicle and avoiding collisions. Road Departure Mitigation only alerts drivers when lane drift is detected without a turn signal in use and can apply mild steering torque to assist driver in maintaining proper lane position and/or brake pressure to slow the vehicle’s departure from a detected lane. RDM may not detect all lane markings or lane departures; accuracy will vary based on weather, speed and road condition. System operation affected by extreme interior heat. Driver remains responsible for safely operating vehicle and avoiding collisions. ACC cannot detect all objects ahead and may not detect a given object; accuracy will vary based on weather, speed and other factors. ACC should not be used in heavy traffic, poor weather or on winding roads. ACC only includes a limited braking function; driver remains responsible for slowing or stopping the vehicle to avoid a collision. Carrying too much cargo or improperly storing it can affect the handling, stability and operation of this vehicle. Follow applicable load limits and loading guidelines. 3-Year/36,000-Mile Limited Warranty. 5-Year/60,000--Mile Limited Powertrain Warranty. Ordinary maintenance or adjustments, parts subject to normal wear and replacement, and certain items are excluded. Please see your Honda dealer for the terms and conditions of the limited warranties. The Bluetooth® word mark and logos are owned by the Bluetooth SIG, Inc., and any use of such marks by Honda Motor Co., Ltd., is under license. The USB interface is used for playback of MP3, WMA or AAC music files from digital audio players and other USB devices, as well as smartphone data transfer on designated Smartphone/Audio Interface ports. Some USB devices and files may not work. Please see your Honda dealer for details. The systems are not a substitute for your own visual assessment before changing lanes or backing up, and may not detect all objects, or provide complete information about conditions, behind or to the side of the vehicle. System accuracy will vary based on weather, size of object, and speed. Driver remains responsible for safely operating vehicle and avoiding collisions. Check the HondaLink® website for smartphone compatibility. HD Radio is a proprietary trademark of iBiquity Digital Corporation. HomeLink® is a registered trademark of Gentex Corporation. HDMI, the HDMI Logo, and High-Definition Multimedia Interface are trademarks or registered trademarks of HDMI Licensing LLC in the United States and other countries. 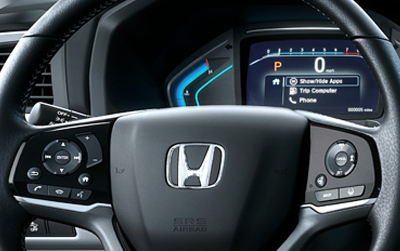 The Honda Satellite-Linked Navigation System™ is available on EX-L trims and standard on Touring and Elite trims in the United States, Canada and Puerto Rico. (FM Traffic service only available in the United States, except Alaska). Please see your Honda dealer for details. HondaLink Subscription Services come with complimentary trials of Security for one year and a Remote/Concierge trial for three months. Enrollment is required to access the Remote/Concierge trial and to access certain features of Security. At the end of each trial period, purchase of a subscription is required to continue the respective services. NHL and the NHL Shield are registered trademarks of the National Hockey League. ©NHL 2018. All Rights Reserved. LG is a registered trademark of LG Electronics, Inc. Honda reminds you and your passengers to always use seat belts and appropriate child seats. Children 12 and under are safest when properly restrained in the rear seat. Specifications, features, illustrations and equipment shown in this brochure are based upon latest available information at the time of printing. Although descriptions are believed to be correct, accuracy cannot be guaranteed. American Honda Motor Co., Inc., reserves the right to make changes at any time, without notice or obligation, in colors, specifications, accessories, materials and models. Some features mentioned herein are not available in all areas. Please see your Honda dealer for details. Some vehicles may be shown with optional equipment. Available = Optional. All images, logos, or trademarks contained herein are either owned by American Honda Motor Co., Inc., or used under a valid license from or with permission of the owner or sublicensee. 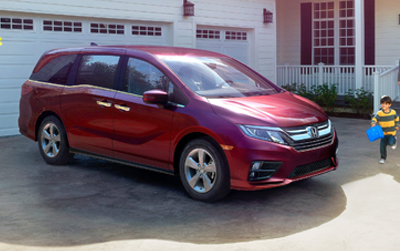 It is a violation of federal law to reproduce or otherwise use these images, logos or trademarks without express written permission from American Honda Motor Co., Inc., or the individual copyright/trademark owner. Honda Financial Services is a DBA of American Honda Finance Corporation. Honda, the H mark symbol, Honda Care, HondaLink, Honda Satellite-Linked Navigation System, Honda Sensing, HondaVAC, Advanced Compatibility Engineering, ACE, CabinControl, CabinTalk, CabinWatch, CMBS, Collision Mitigation Braking System, Eco Assist, ECON logo, HandsFreeLink, How Much Farther?, i-VTEC, Magic Seat, Magic Slide 2nd-row seats, Vehicle Stability Assist, VSA and Walk Away Auto Lock are trademarks of Honda Motor Co., Ltd. © 2018 American Honda Motor Co., Inc.
Detroit Area Honda Dealers	42.199894, -83.207115.